"I don't like standard beauty - there is no beauty without strangeness." 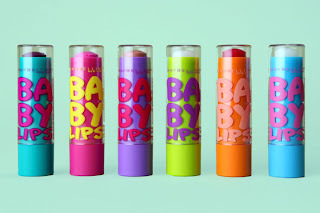 The next product I am going to review from my Spring Break Shopping Spree is the Baby Lips lip balm from Maybelline. I really do like this product, however it is not at all what I expected. Here are some things you should know. First of all these lip balms are actually quite pigmented. When I saw these on another blog, the girl had bought the blue one which is actually clear. A fact I was unaware of. I of coarse bought the pink once called Pink Punch. The packaging is hot pink and so is the balm... and so is the tint it leaves on your lips. I had no idea it left a color so I put it on really thick without even thinking and without looking in a mirror. When I got home I was a little horrified at the bright pink smear all over my face. If what you want is a moisturizing lip balm like a chap-stick go for the clear one in the blue tube because this product does feel really nice on your lips. I actually really do like my pink because after playing with it, I was able to put the right amount on to have just a pretty wash of pink. 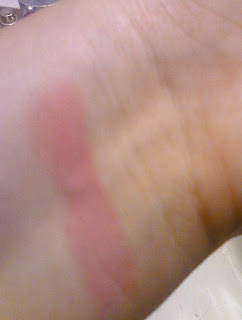 I put a swatch below so you can see the color. It does actually show up a little darker on your lips. All in all I do like this product. I don't know if I am going to repurchase it just because I am more of a gloss girl. However I wearing it today and it does stay in my purse!